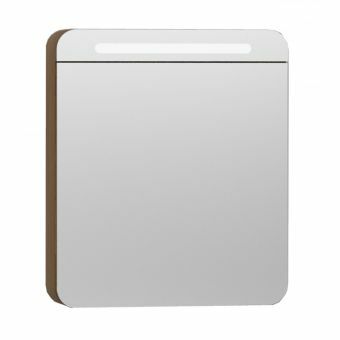 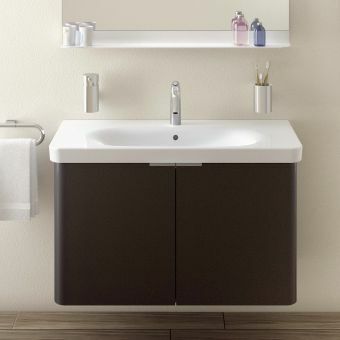 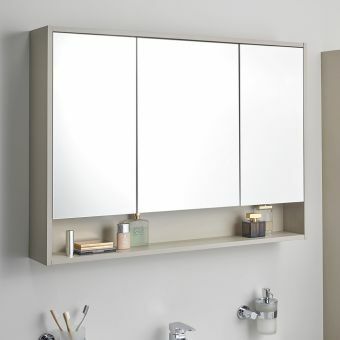 The Nest double door 80cm wide mirror cabinet is the perfect partner for the VitrA Nest and Nest Trendy 80cm wide vanity units and basins! 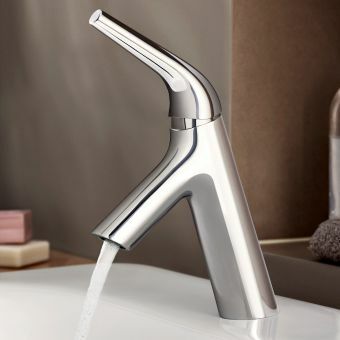 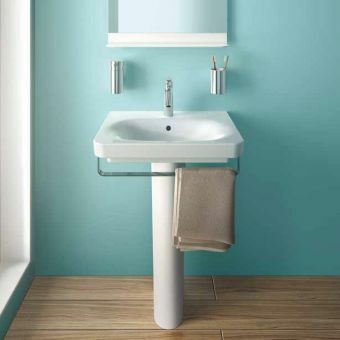 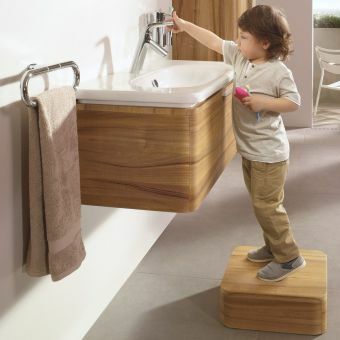 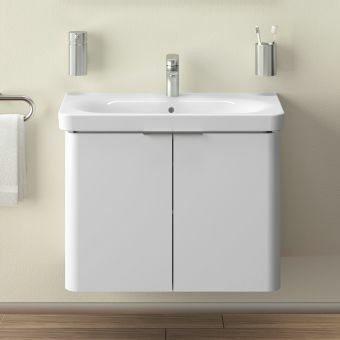 The entire range can be specified for a complete coordinated look and a fully family friendly, harmonious bathroom layout. 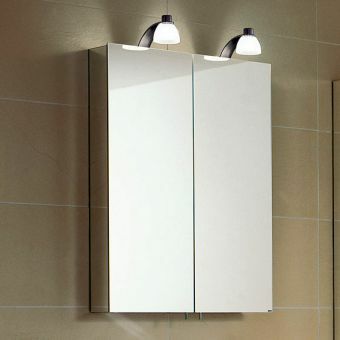 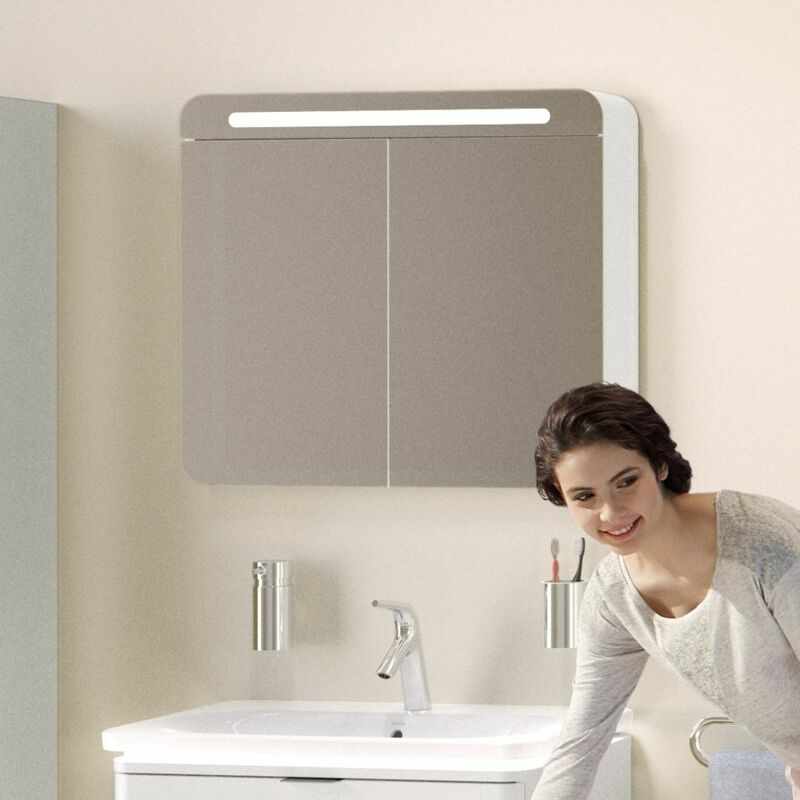 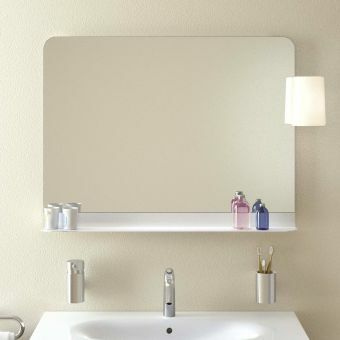 The Nest mirror cabinets are simple and stylish in design, this also allows them to be fitted into an existing bathroom design if you are simply upgrading your bathroom mirror cabinet to a more eco-friendly and money saving LED option. 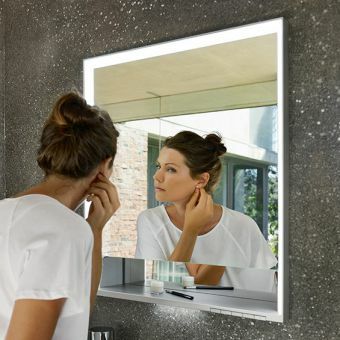 The LED illumination offers excellent lighting for shaving or makeup application, and also illuminates the washing area in general, lighting your daily cleansing rituals. 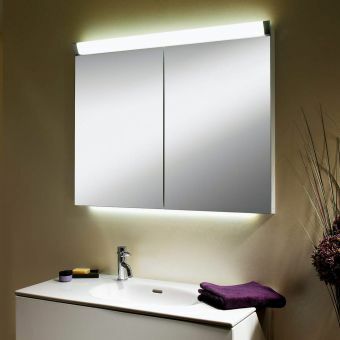 The lights require a mains connection and are operated via a switch on the bottom right of the unit. 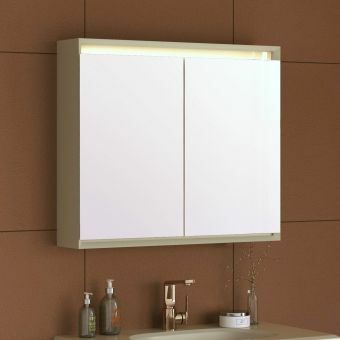 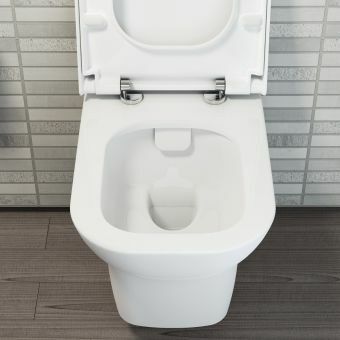 Internal storage is very good allowing you to store a good number of toiletries and bathroom essentials in the 80 x 70cm carcass, with a depth of 15cm. 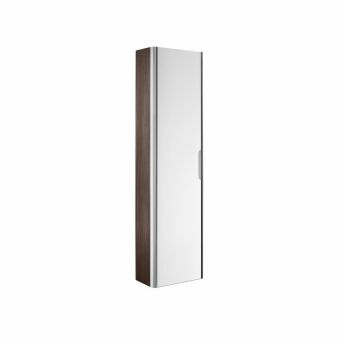 Family friendly curved edges are safe and stylish, matching the rest of the Nest and Nest Trendy line, the doors also feature soft closing hinges.